There’s big concert news coming out of Pennsylvania today. The Monster Energy Rock Allegiance Festival is returning to Pennsylvania this summer. It will take place Saturday, September 17th and Sunday, September 18th at Talen Energy Stadium (formerly PPL Park), home of Major League Soccer’s Philadelphia Union, in Chester, PA, which is just outside of Philadelphia. It will feature a lineup of more than 35 bands. That lineup includes but is not limited to: Avenged Sevenfold, Alice In Chains, Slayer, The Offspring, Breaking Benjamin, Volbeat, Chevelle, The Cult, The Pretty Reckless, Pierce The Veil, Of Mice & Men, Ghost, Anthrax, Killswitch Engage, Chevy Metal, Baroness, Hellyeah, Sevendust, Motionless In White, Buckcherry, Trivium, Avatar, Max & Iggor Cavalera Return To Roots, Jim Breuer and the Loud & Rowdy, Sick Puppies, The Amity Affliction, letlive., Neck Deep, Skindred, KYNG, Young Guns, Crobot, Devour The Day, Twelve Foot Ninja, Dinosaur Pile Up, Death Angel and Hundredth. A rolling discounted Early Bird on-sale for weekend General Admission tickets and VIP passes starts this Tuesday, May 10th at 12pm EDT and runs through Friday, May 13th at 10am EDT. Early Bird tickets and VIP passes will be available in a very limited quantity. The prices for each is noted below. Zippo 2-packs will also be available at a price of $550. They include 2-VIP weekend passes and 2 commemorative Zippos. Single-day admission and general weekend packages will go on full sale along with VIP packages beginning May 13th at 10am EDT. Prices will increase in the weeks leading up to the festival. Current prices are listed below. VIP packages for the festival include: Stadium-level VIP main stage viewing, floor-level VIP viewing area for the west main stage, dedicated entrance lanes into the festival, VIP area with shade and picnic tables, VIP restrooms, special food and beverage offerings (for additional purchase), and a commemorative VIP laminate. The music is just one part of the experience that audiences will be able to enjoy at this year’s festival. Along with lots of great music there will also be loads of great food and drink, too. There will loads of dishes offered by some of Philadelphia’s eateries in the Gourmet Man Food experience. There will also be plenty of brews offered by breweries from across America. The culinary lineup for the Gourmet Man Food Experience currently features: Braz-B-Q, Chickie & Pete’s, The Cow & The Curd, Dos Hermanos, Dump ’n’ Roll, M.A.T.T.’s Gourmet Sliders, Mama’s Meatballs, Seoulfull Philly, Sum Pig and The Tot Cart. The breweries that will be at the festival include: Evolution Craft Brewing Co (Salisbury, MD), Fordham & Dominion Brewing Company (Dover, DE), New Belgium Brewing (Fort Collins, CO), Starr Hill Brewery (Crozet, VA), Tröegs Independent Brewing (Hershey, PA) and Victory Brewing Company (Downington, PA). Audiences can also get advance notice about all of the latest events at Talen Energy Stadium by joining the free Talen Energy Stadium CyberClub here. To keep up with all of the latest sports and entertainment news and reviews, go online to http://www.facebook.com/philspicks and “Like” it. Fans can always keep up with the latest sports and entertainment news and reviews in the Phil’s Picks blog at https://philspicks.wordpress.com. A brand new music festival is coming to Florida. The first annual Fort Rock festival will be held Sunday, Aril 14th at the JetBlue Park in Fort Meyers, Florida. The festival’s initial lineup has already been announced. It includes: The Offspring, 3 Doors Down, Stone Sour, Papa Roach, Volbeat, In This Moment, Escape The Fate, Device (with David Draiman), Pop Evil, Otherwise, Mindset Evolution, and a whole bunch more. Tickets go on sale Saturday, February 23rd at 6am EST and will be available online at http://www.FortRockFestival.com. General Admission tickets are $44.50. General Admission Party 4-Packs are also available at a cost of $129.50. VIP tickets are available for $89. Discounted hotel tickets will be available soon. There will be two pre-sale events before general tickets go on sale. The pre-sales will take place on the Fort Rock website as well. 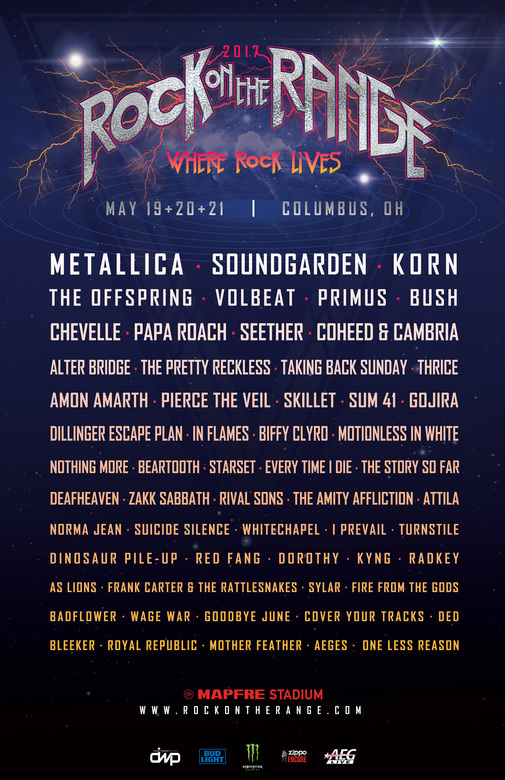 Fort Rock is produced by Danny Wimmer Presents and AEG, part of the team behind the annual Rock on the Range festival, Carolina Rebellion festival and Welcome to Rockville festival. It is sponsored by Fort Meyers radio station 99X, Monster Energy, Jagermeister, and f.y.e. 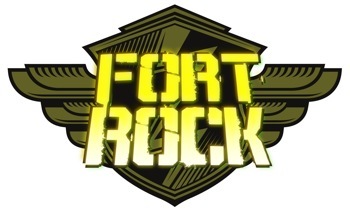 For all the latest updates on band lineups and more, audiences can go online to the official Fort Rock website, http://www.FortRockFestival.com or “Like” its Facebook page, http://www.facebook.com/fortrockfestival. The Offspring’s fans can check in the latest from the band online at http://www.offspring.com, on Facebook at http://www.facebook.com/offspring, on Myspace at http://www.myspace.com/offspring, and on the band’s official Youtube channel, http://www.youtube.com/offspringtv. To keep up with the latest entertainment reviews and news, go to http://www.facebook.com/philspicks and “Like” it or its companion page at http://www.facebook.com/381028148587141. Fans can also keep up with the latest entertainment reviews and news at https://philspicks.wordpress.com. The annual Sunset Strip Music Festival will celebrate the music of The Doors at this year’s festival. The weekend long festival will run from Thursday, August 16th to Sunday, August 18th. It will be held at the world famous Sunset Strip. The whole thing will kick off with a performance by an all-star band that will honor the Doors August 16th. The festival will close on Sunday, August 18th with an all day Street Fest, headlined by none other than Marilyn Manson. 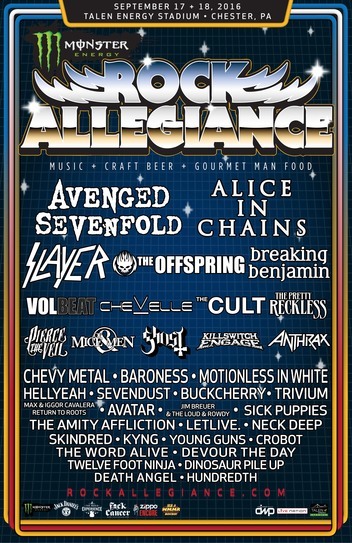 Also on hand to peform will be Steve Aoki, Bad Religion, The Offspring, Black Label Society, De La Soul, and lots more. The Whisky A Go-Go will join fellow legendary music clubs, The Roxy Theatre and Key Club in hosting full ineups of performances from over fifty bands during the day. Tickets for the event are available now. They can be purchased online at http://Ticketweb.com/SSMF. Anyone looking to travel to the festival by air can also get a discount on plane tickets to Los Angeles on Virgin America by going to http://www.virginamerica.com/vx/booking/ssmf.html?cid=PRO_338. The flights must be booked for days between August 13th and 21st to obtain the discount. A portion of ticket sales for this year’s festival will go to benefit the Impact Drug and Alcohol Treatment Center in pasdena, California. The center has been in operation since 1969. For more information on the Impact Drug and Alcohol Treatment Center, go online to http://www.impacthouse.com. More information on the Sunset Strip Music Festival is available online at http://www.sunsetstripmusicfestival.com, on Facebook at http://www.facebook.com/sunsetstripmusicfestival and on Twitter at http://twitter.com/#!/SSMF. To keep up with all the latest entertainment news and reviews, go to http://www.facebook.com/PhilsPicks and “Like” it or its companion page at http://www.facebook.com/pages/Reel-Reviews/381028148587141. Fans can also keep up with all the latest entertainment news at https://philspicks.wordpress.com.